I’ve been waiting for a better quality image (an unofficial, low quality capture was already circulating for over a week now) to judge freely on May 2010 Vogue’s cover. I have the deepest respect for Anna Wintour and her way of being who she is and doing what she does. However, that doesn’t mean I can’t observe how Vogue’s cover are worryingly starting to age on us. Despite the Photoshop. Sarah Jessica Parker? She couldn’t do anything remotely convincing outside her SATC role. Which wouldn’t be such a bad thing if she was famous for her personal style and not for some movie’s character style; character styled by a professional stylist. Oh my dear. The first time I saw this cover I thought it was a fake one. U-N-B-E-L-I-E-V-A-B-L-E. The woman is uber-popular in the States so I think that’s the main reason she’s on there yet again. As for being a convincing actress – the woman has talent to burn. She went from rags to riches on her talent alone – plucked from obscurity at a tender age to play the role of Annie on Broadway. That’s pretty darned impressive. 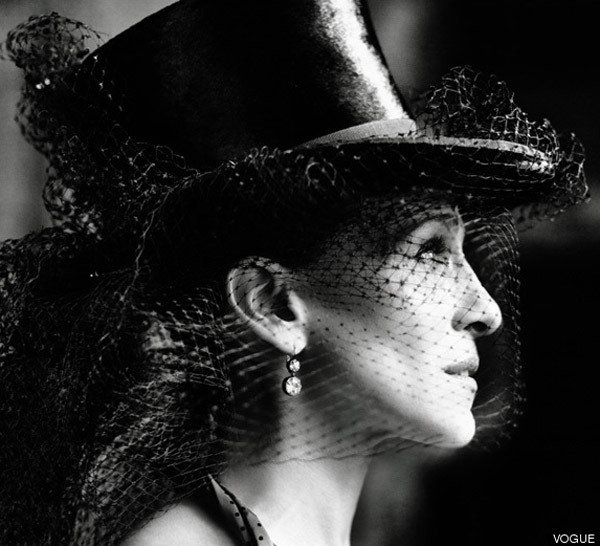 RSr: please enlighten me about one role where SJP is impressive? It’s possible I’ve missed it? I’m really serious here. I loved her the least in SATC. I was not the usual Carrie fan. Miranda and Samantha where my faves. I adored the series though. But not to re-watch it or see the movie. I watch it probably when it’s on tv. I think Patricia Field is the real style icon here because before SATC SJP was very common. Right, this cover is probably nice for the US and other women world wide who can’t let go of SATC and Carrie. Oh, right, I forgot everything must be smoke and mirrors for the wide public to appreciate! I, much like Adriana, don’t recall one single time SJP was royally theatrical outside Carrie. And there’s absolutely nothing wrong with being a one-role person. Have you seen her latest? With Hugh Grant? Sure, it was an easy movie, pretentionless and weekend-ish. And even so, I had a hard time coping with SJP’s acting. I confess I do not know much about her past, so there you may be right (though you’d have to bring it on with substantial evidence ;) ). As popular as she may be, Sarah Jessica Parker is just a lucky, thin, unconventionally beautiful woman whose style happened to have been groomed by a professional. Why would that be Vogue-worthy? The black/white photo with the hat and voile bring back memories on two great late people I still admire: Luchino Visconti directed Romy Schneider as Elizabeth of Austria in Ludwig. It wouldn’t surprise me if Testino was inspired by Visconti. I often think I see something Visconti in Testino photos. In this whole shoot as a matter of fact! Can be me of course…….? I like SJP but I would not call her acting impressive. In the show SITC I liked Charlotte best. When I have read SJP’s interviews she seems to be a family first kind of person and I admire that , and she does wear clothes well and not many people can do that even with a stylist. But in closing I have to agree with Adirana and Kpriss in regards to her. The same could be said of most of the women who have graced the cover – perhaps replacing the word ‘thin’ with ‘curvy’ in some cases. I really must object to the use of the word ‘lucky’ when referring to SJP. While it’s possible that the theatre may well be her best element I think she is an excellent actress who has not yet found a film role which stretches her enough. Her more recent romantic comedies are badly written excuses for her to have multiple costume changes and reprise her Carrie persona and she’s had only bit parts in her earlier films. But a bad script doesn’t imply that an actor can’t act. Nobody gave Charlize Theron any real credibility until she took on the role of a lifetime in ‘Monster’. Prior to that particular performance, I just found her pretty and insipid. But that’s why they call it a ‘role of a lifetime’ – not every talented actress gets a shot at showing what she’s truly capable of. RSr, I’ve to give you a compliment: you wrote exactly why most what happens in Hollywood is smoke and mirrors, baken air, a soap bell, it’s not interesting enough. I’m proud to be a European and to able to watch films by great directors with real great actors who does not are the face of any brand but are great in their craft. Not or hardly noticed by the rest of the world. I’ve been always annoyed that Hollywood needed a gorgeous looking actress to play “Monster”. You know why she got that Oscar imho? Because isn’t it a miracle a beautiful woman can play an ugly creep? She did a good job. She made the woman even look human which made me feel for her character as much as it did disgust me. But so did the real Aileen Wuornos in a documentary and (I think) her last interview. More so than the biopic as “a role of a lifetime” for a Hollywood star. When I think of Charlize I hear her say “J’Adore Dior”. I’d never forgot that behind her ugly mask there was this beautiful woman. I guess nobody did. Maybe actresses should stick to their craft or we should accept normality in films. I can make this piece far longer by making a list with great actresses and their parts. But why? There are plenty of them around and JSP doesn’t belong on that list in my view. Sad enough if I’m wrong then JSP should hurry up for “that part of a lifetime” in women ageing unfriendly Hollywood and most moviegoers………. what happened to her u*** nose!! nice job photoshop!! I like her as Carrie not as SJP. maybe I will change my mind like I didd for Angelina Jolie, I saw an old film of her with the guapo Antonio Banderas, I said to my self that she’s a good actress, I never saw thar in her before this weekend. I don’t mind the cover – but I object to the mindless repeative nature of VOGUE. Does this mean Kate Hudson, Gwyneth & Renee Z covers are lurking for the remainder of the year? It is mind numbingly boring – every month the celebration of mediocre continues. Where is the fashion edge that is sadly missing from this publication? Anna it is a new decade – shake it up or move on! RSr – Maybe we simply have different tastes in actresses (and more). Which I treasure, especially when we’re debating things naturally, without imposing anything. I always had a thing for Charlize Theron. It’s her smile, maybe, something in her makes me smile back when I see her smile. She proved her acting was more than just a pretty face with long legs with Monster. It wasn’t quite a surprise for me, I always felt engaged in her roles (even MTV’s Aeon Flux was a good part for her). Sarah Jessica Parked doesn’t strike me the same. I don’t “feel” her. She’s not convincing in her acting. Not for me, at least. If your theory is exact and she’ll (ever) find the character of her career, well good for her, I’ll be standing in the first line, cheering! For the moment, I’ll have my heart set on some other actresses. cafe au lait – even to this day I think Original Sin was one of Angelina’s best movie (if not the best). I cried my heart out watching that movie! 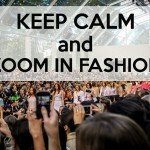 anom – Anna seems to think like a financial more than a fashionista. Such a shame! Let’s cross our fingers and hope we won’t see Jersey Shore in Vogue any time soon! Kpriss, I’d sent this photoshoot to a fellow Visconti fan. The guy has nothing with fashion. But he saw what I saw. Funny right? Luchino Visconti was born as an aristocrat whose family lost everything. He’s is a multi-talented legend.